This is our coverage of Oldham. Oldham itself is historically in Lancashire and was made a municipal borough in 1849 and a county borough in 1889. The present Oldham Metropolitan Borough was created in 1974 with the amalgamation of the County Borough of Oldham with Chadderton Urban District, Crompton Urban District, Failsworth Urban District, Lees Urban District and Royton Urban District, all in Lancashire, plus Saddleworth Urban District from the West Riding of Yorkshire. At the same time it became one of the ten metropolitan boroughs in the new metropolitan county of Greater Manchester. It is now a unitary authority. 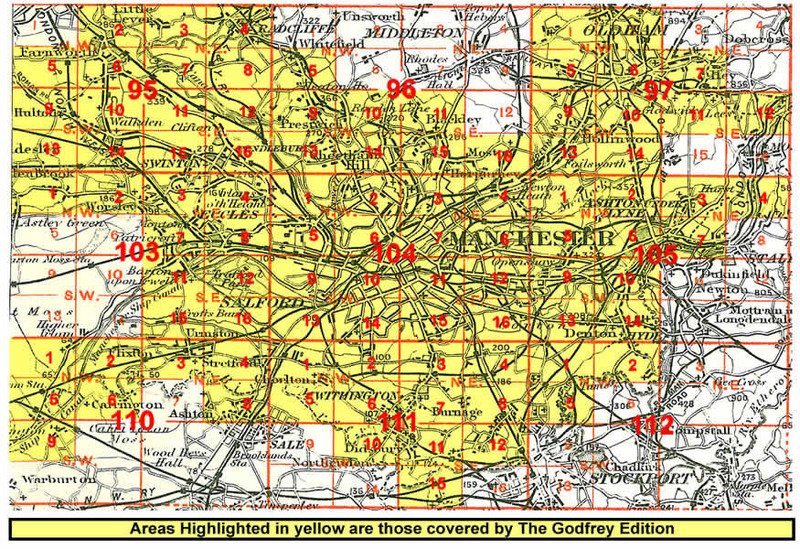 Click on the thumbnail right for an index map for the Manchester area maps in our Lancashire series.